Unlike Windows 7, Windows 8 Application Development is not the same as previous frameworks. Microsoft redesigned the way to create Windows 8 Apps. 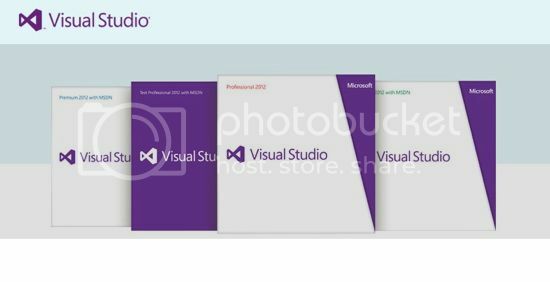 Microsoft released Visual Studio 2012 for making it easy to develop Metro apps on the go. Yesterday, I upgraded my Windows 7 to Windows 8 and the interface is more likely to be changed, but behind the Metro Interface, most things are as it is. Visual Studio Express 2012 makes it easy for developers to go through the app process, though it is recommended that you should be using the Windows8 Operating System before you get started. We will be learning in this tutorial how to get started with creating Windows 8 apps with Microsoft’s tool. You must be running on Windows 8 Releases, versions doesn’t matter, just any stable Windows 8 Version. You should have Microsoft Visual Studio Express 2012. You can download it here. You must have Windows Developer License, and it will be asked when you install and open Visual Studio Express 2012 for the first time. After starting with the New Project, you will a Language Nodes pane on the left which allows you to choose the layout and template of your app. Templates like Grid App, Blank App, are there for all the four languages. Some more templates are there which are language specific. Again, there is a Pane for Solution Explorer and Project Container. Solution Explorer is your Projects Explorer, you can have access to all the projects from Solution Explorer. Project Container is specific for a project, and it contains the references, folders, dependencies and files which are needed for a project to run. The most good part of the app development is this. You need to create the metro interface from scratch. I recommend you to plan the layout first, how the app is going to look. And according to it, you need to choose the perfect and most suitable layout for your app. 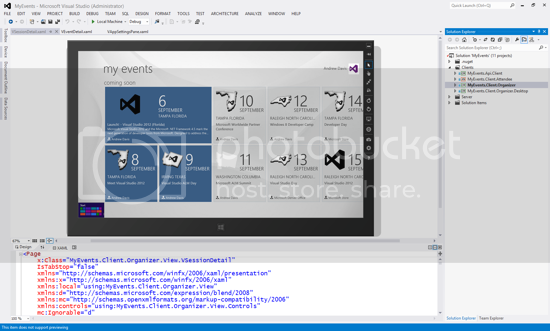 You can also use Blend for Visual Studio to use the Visual Template Designer for your app. You have to use the Solution file (.sln) to use the Blend’s Visual Designer. If you want to customize the behavior of the Studio Code Editor, you can do it in Tools and then Options. Then expand the Text Editor Pane and configure the settings according to your desire and comfort. To build or compile your project, either press F7 from your keyword or click Build solution or Rebuild solution. After doing so, Studio will process your app code and will display the errors, warnings if any in the Output Window. To run your Windows 8 app, click on Debug and then Start Debugging or you can press F5 directly for debugging. you can stop debugging the app with Shift + F5 or Debug and then Stop Debugging the the menu. The XML file, package.appxmanifest helps you to configure a deployment package for Windows App Store. You can use Manifest Designer to configure the Packages. I have some issues about developing windows 8 application but the information and guidelines you have shared here helps me alot to solve my issues. Thank you so much.. It was awesome. Keep on posting!